Buying an apartment is the biggest investment in life for most people, and it was a pleasure to see that more and more Finnish new home buyers are happy with their decision. The result comes from the New Housing Construction study conducted by EPSI Rating and commissioned by Rakennusteollisuus RT, which examined the customer satisfaction of new home buyers. Customer satisfaction has improved among buyers of new dwellings compared to last year. Furthermore, every company that participated in the study has improved the satisfaction of its own customers. The study included Peab, YIT, Skanska, Bonava, Luja and SRV Rakennus, of which Peab was at the forefront. According to EPSI Rating, who carried out the research, you can seldom see such a significant development in an industry study. Exceptionally fast development are a sign that things have been done right for a long time now and the actions produce results. 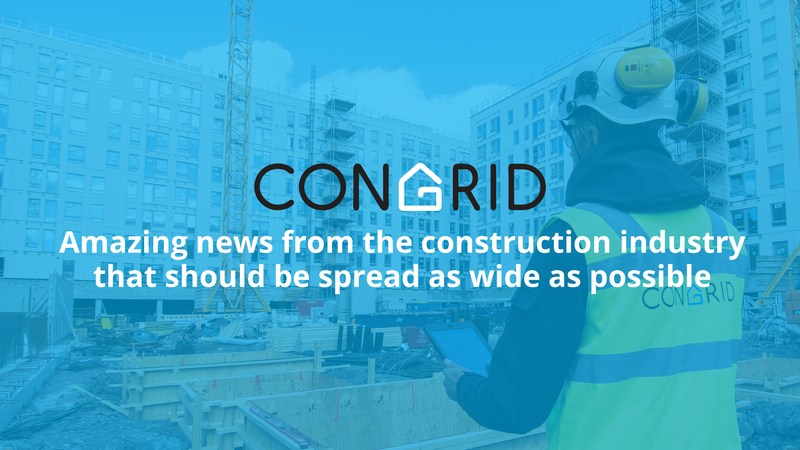 I feel the results of the study are important, especially as they communicate - at their best and hopefully - to the general public and young people who are pondering their choice of profession that the construction industry is moving forward at a fast pace. I would like these fresh, positive results to be more visible also in mainstream media. The building industry needs and deserves it. The construction industry, which has a significant impact on our economy, has long been suffering from a shortage of labour to such an extent that the lack of skilled labour is the main obstacle to growth in the sector. There is clearly a need for more manpower in the construction sector, and there is especially a lack of construction engineers and construction managers. For example, in the greater Helsinki region, the need for recruitment is constantly increasing. At the same time, the construction industry has challenges in attracting young people to the field. Who wouldn't want to work in a field that is heavily committed to customer satisfaction and boldly introduces the potential of digitalisation? The construction industry has made great use of digitalisation. The number of companies that offer application programs for the construction industry alone indicates that the industry is constantly developing its capabilities to utilize digitalisation. There is still a lot to do, however, and the digitally minded youth can show the more experienced construction professionals how to use the latest technology in construction. At the same time, construction companies have become more aware that the customer is king, master and chief. Speaking does not repair possible moisture damage, but acts do. According to Peab's construction manager, Harri Pölkki, the reason why the company has done so well in the survey is simple: Peab has focused on customer satisfaction in every single area. You need to react as quickly as possible to customer needs, whether the customer has questions about technical details, the quality of finishing or they have complaints. Developing the ways customers are attended takes time naturally, but the increasing positive trend in surveys show that things are being done right in the industry. A satisfied customer is the best marketer for the company - and the best marketer for the entire construction industry.